Hi, my next solo exhibition is in a month. 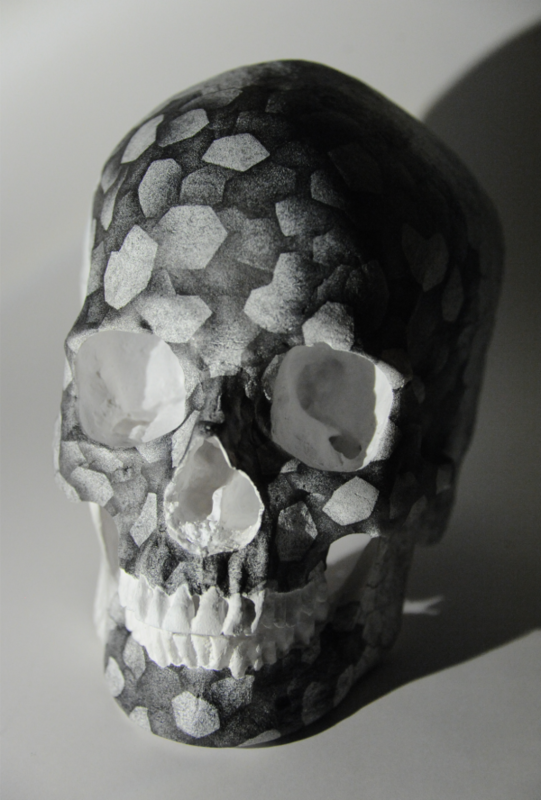 My new art exhibit will be from my “skull fragment.” series. The theme of my second fragment series is ‘people’. With the human skull as the core, I use fragments to flesh out a human being. Memories, experiences, connections with others…a ‘person’ is made up of an accumulation of fragments.